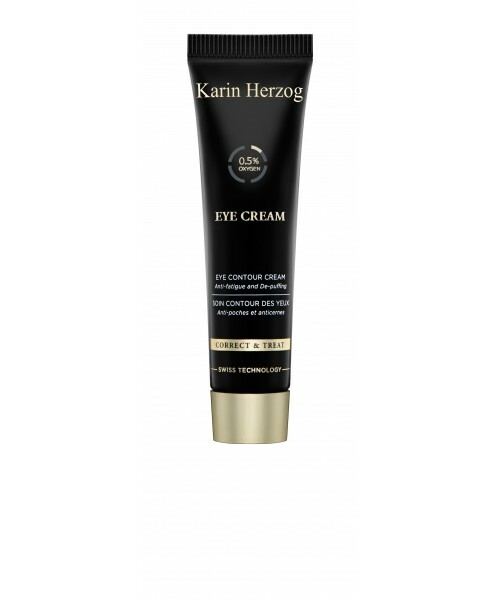 This eye contour cream combines 0.5% active oxygen with a multi-vitamin complex to effectively nourish, protect and moisturize the area around the eyes. It considerably diminishes wrinkles, reduces puffiness and illuminates tired eyes. It also features excellent action for filling in wrinkles and attenuating redness. Apply around the eyes and the eyelids without massaging into the skin. Use morning and night. This product is also excellent for the lip area to combat the signs of premature aging and can be applied alone or over Vita-A-Kombi Facial Oil for a more intense treatment.